Ready for soccer season? 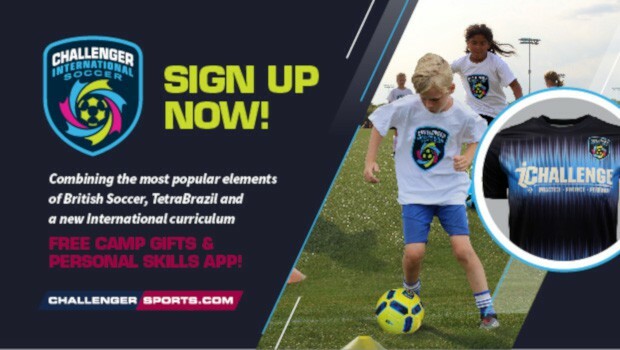 Register now for Challenger's International Soccer camp and get a free international ball, t-shirt, poster, skills evaluation, downloadable coaching app as well as 20 skills videos! Register 30 days before camp & qualify for a free International Game Jersey!